Two rice leaves emerge from floodwater. The one on the right has superhydrophobic cuticles, and thus the submerged portion of the leaf traps a thin layer of gas (visible as a silvery sheen). The leaf on the left has been brushed with a dilute detergent to remove hydrophobicity and prevent the gas film from forming. The photo shows how effective the superhydrophobic properties of rice leaves are, and one way of manipulating them. 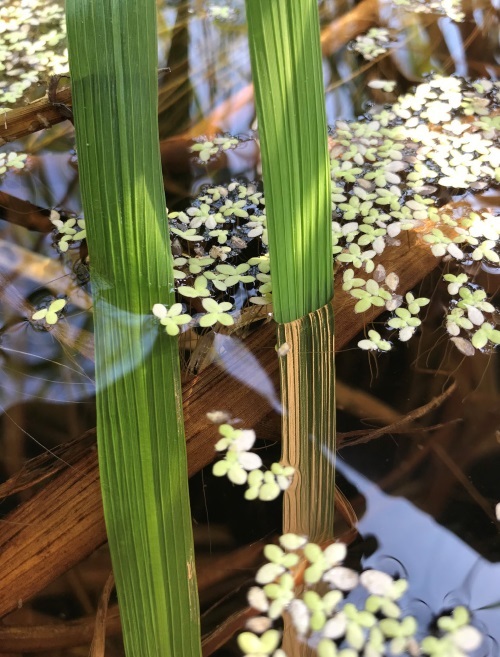 A study by Ole Pedersen and colleagues, recently published in New Phytologist, describes a rice mutant that lacks the nano coating of fine wax platelets that confers hydrophobic properties. The researchers can use this mutant to study the physiological function of the leaf gas films without using a detergent to manipulate the cuticle. Read more about this paper on the New Phyt blog.